The Cisco TelePresence SX10 Quick Set is a HD all-in-one unit that can be combined with any flat-panel display to video enable your small offices & work spaces. It offers a low-cost high-quality video solution for small- to medium-sized businesses just starting out with video conferencing, or in extending video communications throughout an enterprise. Contact VideoCentric, Cisco’s UK Premier Partner, for pricing of the Cisco SX10 solution, to discuss options, installation, integration with your displays, or to enquire about hiring an SX10 for your event or meeting. So what’s great about the Cisco SX10? The Cisco SX10 ships as a codec with integrated HD camera and integrated microphones, wall mount, remote control & HDMI cables. For small huddle spaces, or those rooms with a monitor/TV already installed and just want to easily add video, the Cisco SX10 is an out-of-the-box solution that provides the highest video quality available today at the lowest price point. 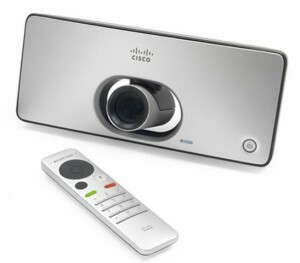 The Cisco SX10 is a low-cost, high quality unit that combines a HD camera and video conferencing codec into a single, compact device, that can be mounted on top of your standard flat-panel display. The Cisco SX10 connects through a single cable system with Power over Ethernet, and provies 1080p30 HD video resolution, with a leadership wide-angle field of view. A perfect addition to any small meeting space or collaboration room that is energy efficient and simple to deploy. Registers with Cisco Unified Communications Manager (Cisco UCM) and Cisco TelePresence Video Communication Server (Cisco VCS). Come and see the Cisco SX10 in action against comparable solutions including the Lifesize Icon, Polycom Group Series and the Google Chromebox by contacting VideoCentric today. VideoCentric are the UK’s leading Video Conferencing Integrator, and are a Cisco Premier Partner, Cisco Advanced Video Partner, and Cisco Collaboration Partner, with over 15 years expertise in Cisco Video Conferencing and Cisco TelePresence equipment. VideoCentric have supplied, integrated and installed hundreds of Cisco Video systems, and maintain and support systems for organisations worldwide, with an award-winning maintenance & support programme led by the UK’s most experienced video conferencing support team. Not only an endpoint supplier, VideoCentric design and integrate video conferencing network infrastructure, and manage, monitor & maintain Cisco on-premise, virtual & cloud solutions, including Cisco Spark and Cisco WebEx. 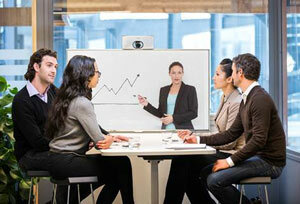 Find out more about VideoCentric and Cisco’s relationship here. VideoCentric have one of every Cisco video conferencing codec for demonstration – including the Cisco SX10, Cisco SX20 and Cisco SX80 – a portfolio which also includes one of every Tandberg Video Conferencing endpoint, and each end-of-life system for customers looking to compare their current system against the new SX, VX, EX, TX and DX series. To see the Cisco SX10, any other Cisco Video endpoint, or the Cisco Video Communication Server (Cisco VCS) or Cisco Spark cloud platform in action, contact VideoCentric today.